Below you fill find all funeral homes and cemeteries in or near Emmett. Emmett is also known as: Gem County / Emmett city. Zip codes in the city: 83617. Gem County funeral flowers can be purchased from one of the local funeral shops we partner with. Some of the notable people born here have been: Aaron Paul (actor and voice actor), and Arnie Burton (actor). Emmett is a city in Gem County, Idaho, United States. The population was 6,557 at the 2010 census,up from 5,490 in 2000. It is the county seat and the only city in the county. 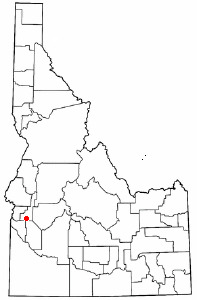 Emmett is part of the Boise City−Nampa, Idaho Metropolitan Statistical Area. It was reported on December 13th, 2018 that Lloyd Fields passed on in Emmett, Idaho. Fields was 89 years old and was born in Snyder, OK. Send flowers to express your sympathy and honor Lloyd's life. It was revealed by The Independent on December 12th, 2018 that June Perkins (Moyer) passed away in Chewelah, Washington. Ms. Perkins was 93 years old and was born in Emmett, ID. Send flowers to express your sorrow and honor June's life. It was noted by Grand Island Independent on November 21st, 2018 that Warren A Hoover passed on in Lincoln, Nebraska. Hoover was 94 years old and was born in Emmett, ID. Send flowers to express your sorrow and honor Warren A's life. It was disclosed on July 19th, 2018 that Scott Aaron Attebery perished in Emmett, Idaho. Attebery was 66 years old and was born in Pendeltom, OR. Send flowers to express your sympathy and honor Scott Aaron's life. It was disclosed by Idaho Statesman on April 22nd, 2018 that Janice Roller perished in Emmett, Idaho. Roller was 73 years old. Send flowers to express your sympathy and honor Janice's life. It was disclosed by Idaho Statesman on April 7th, 2018 that Lynn D Hyslop passed on in Emmett, Idaho. Hyslop was 71 years old. Send flowers to share your condolences and honor Lynn D's life. It was written by Idaho Statesman on April 5th, 2018 that Alpha Palmer passed on in Emmett, Idaho. Palmer was 102 years old. Send flowers to share your condolences and honor Alpha's life. It was reported by Klamath Falls Herald and News on March 18th, 2018 that Maynard Clyde Smith died in Clackamas, Oregon. Smith was 86 years old and was born in Emmett, ID. Send flowers to express your sympathy and honor Maynard Clyde's life. It was reported by Idaho Statesman on March 16th, 2018 that Warren Paul Johnson perished in Emmett, Idaho. Johnson was 69 years old and was born in Benson, MN. Send flowers to share your condolences and honor Warren Paul's life. It was written by Idaho Statesman on March 14th, 2018 that Orval G "Casey" Johnston died in Emmett, Idaho. Johnston was 83 years old. Send flowers to share your condolences and honor Orval G "Casey"'s life. Emmett is a city in Gem County, Idaho County, Idaho, United States. It is the county seat and the only city in the county. . 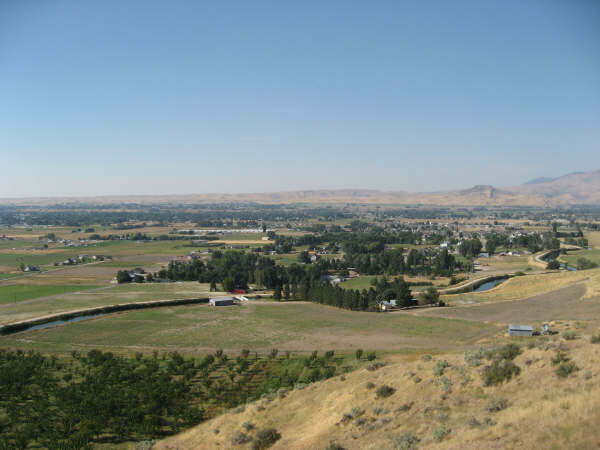 The official website for the city of Emmett is http://www.cityofemmett.org/. Listing all funeral homes in Emmett, Idaho so you can easily send flowers to any location (same day delivery) or find any funeral service. Find a Funeral Home inEmmett, Idaho ID to provide the caring burial and ceremonial services your family deserves. Buck, John - Potter Funeral Chapel, Emmett, ID : Reviews and maps - Yahoo! Local, 208.365.4491. Get Ratings, Reviews, Photos and more on Yahoo! Local. We work with local florists and flower shops to offer same day delivery. You will find budget sympathy flowers in Emmett here. Our funeral flowers are cheap in price but not in value.